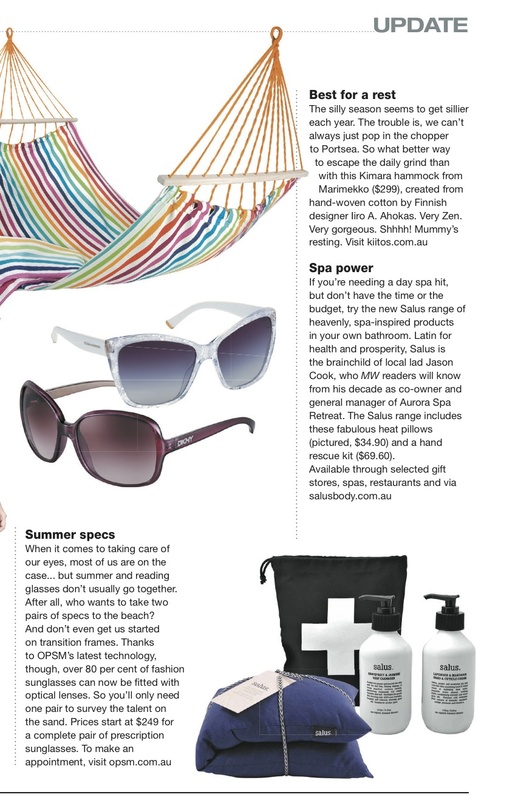 Our heavenly range of spa inspired products have hit the press this week with editorial coverage in The Melbourne Weekly. Keep an eye out for our featured Organic Lemon Myrtle & Ginger Heat Pillow and Hand Rescue Kit – both great home spa remedies for keeping things calm pre and post race season! Purchase online at http://www.salusbody.com.au or email orders@salusbody.com.au for your nearest stockist.